UPDATE: 5/4/13 – Mingzhe was found at the bottom of a cliff near San Luis Reservoir, the California Highway Patrol reported. Officer Jesse Lopez said a woman on a tour bus traveling westbound on Highway 152 near the reservoir spotted the vehicle about 200 feet down the embankment at the bottom of the ravine, reports Merced Sun Star. “They checked the license plate and it came back to a Los Angeles man [Mingzhe} who had been reported missing April 19,” Lopez said. Previous story: Mingzhe Cui, 24, was last seen at his residence in the 700 block of WestmorelandAvenue around 10 p.m. on April 18. He may have headed to the Santa Clara County area, specifically to the cities of Milpitas or San Jose. Cui is from Korean and has only been in the US for about one year and speaks very limited English, according to police. Cui is described as having a heavy build with a light complexion, black hair and black eyes. He stands 5’5″ tall and weighs about 190 pounds. His clothing is unknown. 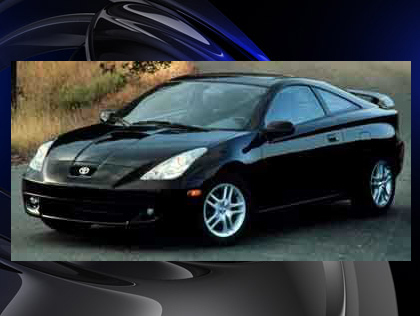 If traveling by car, he is most likely driving a 2003 dark-colored, two-door Toyota Celica GTS with a license plate number of 5FYA065. Anyone with information on Cui’s whereabouts is asked to contact his aunt, Yeong Huang (Korean speaking) at (408) 991-3226 or the LAPD Missing Persons Unit at (213) 996-1800. Tipsters may also go to LAPDOnline.org, click on “webtips” and follow the prompts.